Empowering decision makers with useful accurate information. 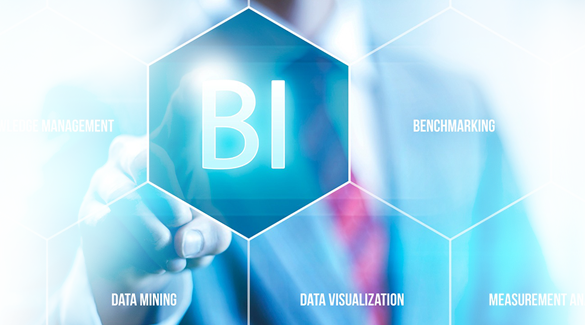 Our skilled team of BIs integrates multiple data sources across a range of platforms and performs data cleansing functions, which allow companies to assimilate these disparate data sources into a single cohesive framework. Our self-service tools, real-time reporting and detailed analysis help turn raw data into informed decisions by anyone in your extended enterprise – customers, partners, employees, managers, and executives. VentureTech Solutions’ well-designed BI applications can give anyone in your company the ability to gain insight into critical operations in order to make better decisions. Through a variety of components, like tabular reports, spreadsheets, charts, and dashboards, users quickly understand the various “information assets” in your organization and how these interact with each other. Our seasoned team builds effective Online Analytical Processing (OLAP), helping your management team to make informed business decisions. VentureTech Solutions are experts in analyzing historical data from numerous sources through statistical analysis, quantitative analysis, data mining, predictive modeling, and other techniques that help identify trends and understand the information to drive change and support sustained, successful business practices. VentureTech Solutions accelerates and improves the decision making process, optimizes internal business processes, and increases operational efficiency, to help your business gain competitive advantages over the competition. With the use of various tools (MS SQL, ORACLE, MYSQL, MS SQL Server, etc. ), our team creates operational efficiency through access to real-time data, enabling individuals to more effectively perform their job functions while matching appropriate tools to the user. Our BI team has broad experience in linking diverse applications and legacy systems that reside on different operating systems. We use several databases that allow us to transform isolated information silos into a finely tuned, single, consolidated business infrastructure. VentureTech Solutions provides tools that deliver answers to people who have questions about their data. This is not just limited to generating reports, but allowing people get into the flow of analysis, explore their data, and ask their own questions through the creation of self-serve reports, dashboards, and data visualizations, such as charts, diagrams, digital dashboards, scorecards, and spreadsheet generation.